The Hotel CHAMONIX is ideally situated in front of tourist office and beside Town hall. You will never forget the incredible view on the Mont-Blanc from your room. 3* hotel situated by the lake in Parentis en born in the heart of the Landes between forest and ocean. Smoking is strictly forbidden on the premises and includes the hotel rooms. The theme you view is not contractual and can not be guaranteed subject to availability! 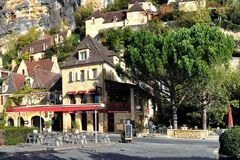 Hotel ** - Restaurant located in one of the most beautiful villages in France, La Roque-Gageac, wedged between the cliff and the river. 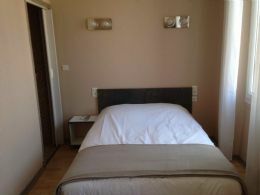 The Rochegude hotel is ideally located at the corner of the Rochegude Park, in Albi town centre. Fully renovated in 2010 and further upgraded in the spring of 2014, the hotel gets its name from the marquis de Rochegude, a famous resident of Albi from the 13th and 14th centuries, a politician, naval officer, romancistand book-lover. Among other things he left the town more than 20,000 rare and ancient works which are today the pride of the municipal library. The hotel is fully air-conditioned and has been redecorated, featuring a warm, modern decorative scheme. Outside these times, access to the hotel is by means of a secure entry system with digicode.The code for this system will be issued to you at the time of reservation. A safe is at your disposal in reception, where you can leave your valuables in addition to aluggage room. A WiFi Internet connection is available free of charge throughout the whole hotel. We would be delighted to welcome you and to provide you with advice about the many tourist sites to be discovered in Albi and the surrounding area. Adorable, secluded ans charming hotel, surrounded by a picturesque garden beautifully located at the base of the Alpilles. Just a short walking distance from a historic centre which will overwhelm you with its serenity and absolute tranquility. Rooms are comfortable and splendidly conceived. They have a satellite television, an Internet connection and a privative bathroom.